A sweet jumper, this design is fresh from DollBaby and their Fall 2017 collection. Wide straps are attached at the waist while large brown buttons are found on the front. Layer a matching top from the collection beneath to really complete the outfit! 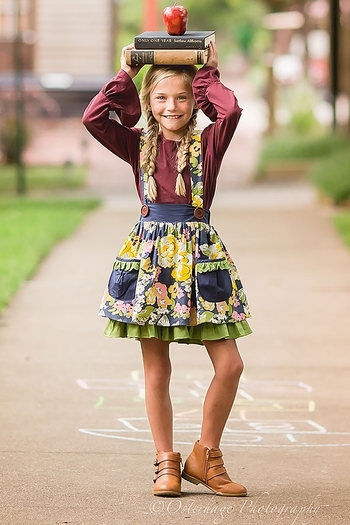 Her skirt is created with the same lively flower print. 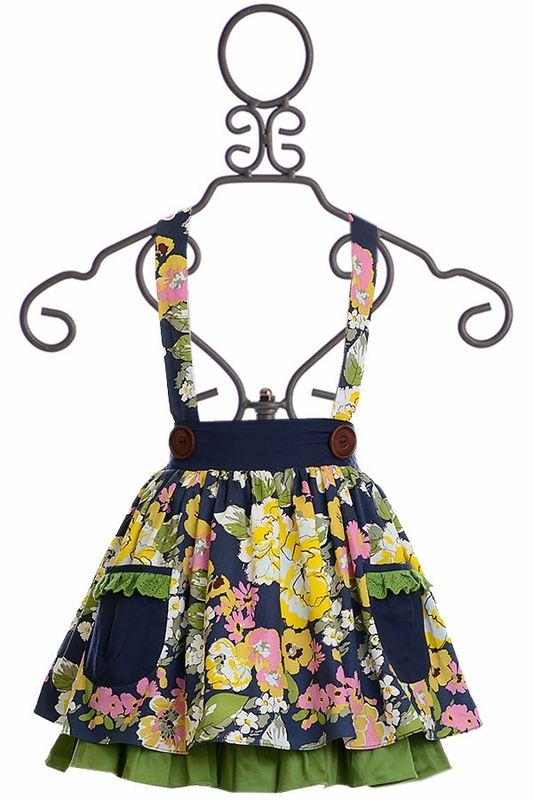 This fabric is found throughout the collection and features the dark blue, olive leaves and fun yellow and pink flowers. 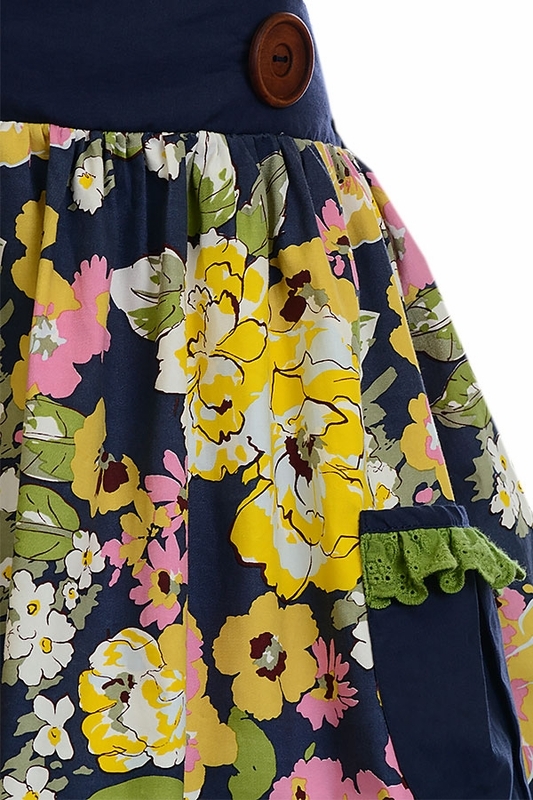 Two pockets are found on the front with small eyelet ruffles. 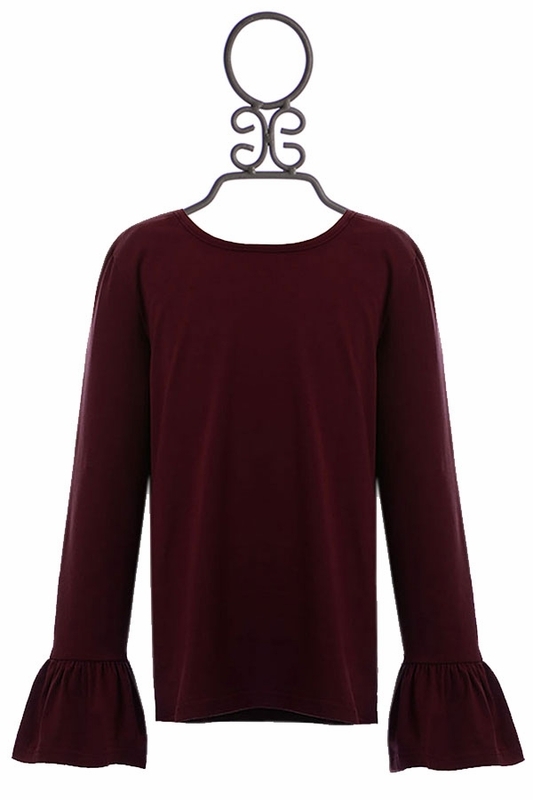 The rich burgundy top matches the small details in the floral print found on the jumper. The cotton fabric is comfortable and soft to the touch with a slight stretch with a dramatic bell cuff for the finishing touch.